On Saturday night, 430 members of our community, passionate to create change in our community, came together to raise awareness and funding for evidence-based mental health programming in local schools. 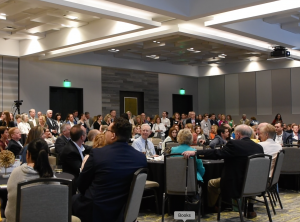 This lively and energetic event, held at the artistically designed Summit Hotel in Cincinnati, sold out for the second consecutive year. 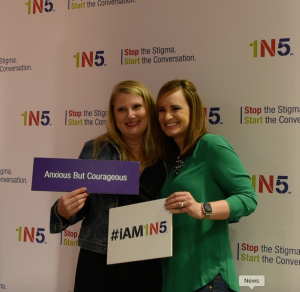 This year, our audience witnessed our Social Venture Partners Fast Pitch grand-prize-winning presentation delivered by Meriden Peters, while seven of our brave #iAM1N5 storytellers joined her on stage. We believe this ignited an action-driven passion within our attendees and truly inspired them to make a difference in and around the Queen City. With the generous support we received from our Spring4Life event, we can continue to STOP the STIGMA towards mental illness and treatment methods that so often keeps young adolescents from seeking the assistance they need to become healthy and live beyond their illness. TOGETHER, AT SPRING4LIFE, WE RAISED $200,000 AND FUNDED 12 SCHOOLS WITH COMPLETE, EVIDENCE-BASED MENTAL HEALTH PROGRAMMING! We are so grateful for the continued support from our community, students, teachers, school administrators and parents who share our drive to change the culture around mental health. 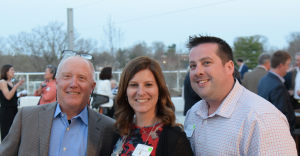 We are excited to implement proven programs in new schools in the Greater Cincinnati area and change more lives for the better by providing education, resiliency, and hope for our youth. If you missed our Spring4Life event but would still like to make a difference, please donate here.